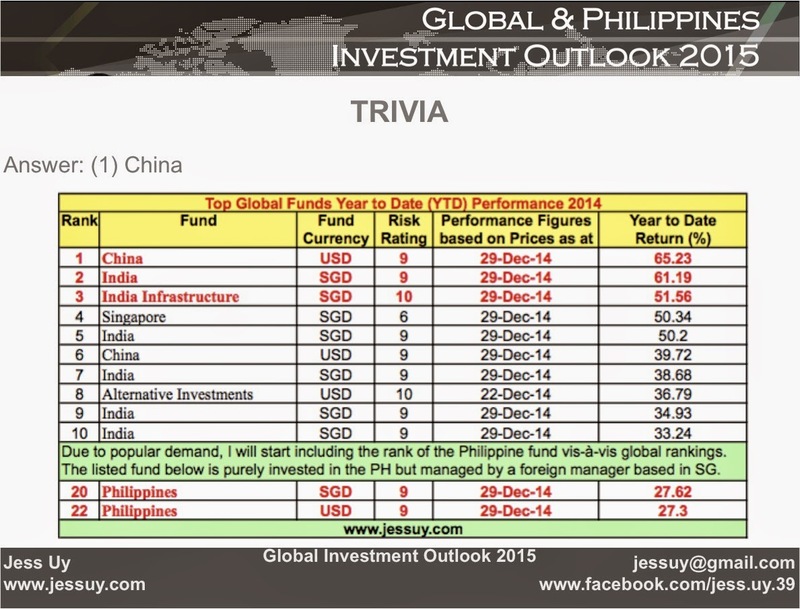 Over 100 people came to the Global and Philippines Investment Outlook 2015 on 24 Jan 2015 in Singapore. 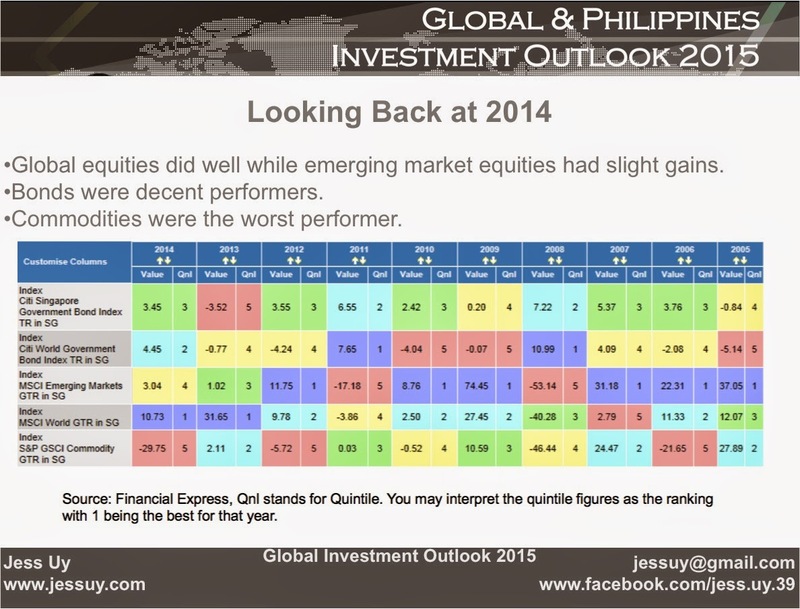 This was an indication that many more may be keen to find out what the market outlook is for this New Year. 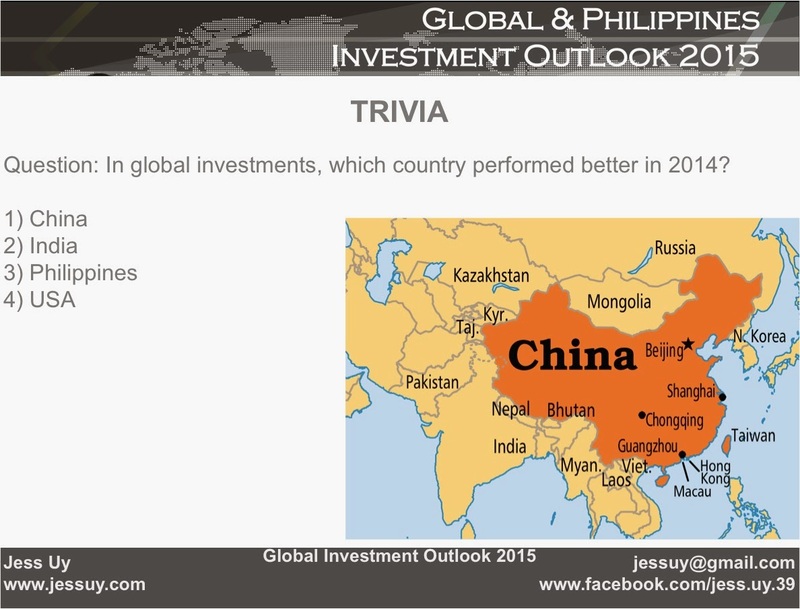 Hence I am posting some of the slides from the Global Investment Outlook 2015. Please note that the presentation was done around a month ago so some of the scenarios have already started to play out.